Today must be “let’s talk about truss” day. 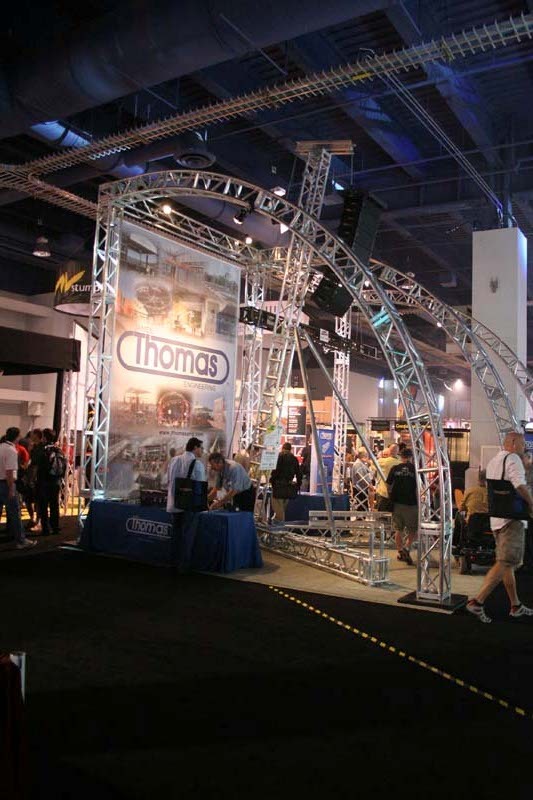 Here’s a shot of James Thomas Engineering‘s LDI booth for 2008. It’s big, and it’s substantial – but what’s most important is that Thomas Truss is great truss. You have to check out their Moving Light Supertruss, which is my favorite.